The Certified Management Accountant (CMA) is the highest level of certification in management accounting awarded by the Institute of Management Accountants (IMA) the USA. The US CMA Course is globally recognized, advanced-level credential appropriate for accountants and financial professionals in the business. However, Management accountants are very important to the company’s financial health. They not only take all the important and critical decisions of an organization, plan for a company’s sustainability but also protect a company’s trustworthiness. A management accountant can play the role of CFO, treasurer, controller, budget analyst, etc in a company. The Institute of Management Accountants (IMA) conducts the Certified Management Accountant (CMA) program. The following article gives a step-by-step procedure to becoming a CMA. Get enrolled in the CMA Program: Enroll in the CMA program with the IMA USA and enjoy the membership benefits by automatically becoming a member of the IMA institute. Register for the CMA exam. Plan properly to complete the certification requirements, become a CMA and submit your documents. An active Institute of Management Accountants membership. Pass CMA Part 1 & 2 exams. Hold a bachelor’s degree from an accredited college/university or a related professional certification. Abide by IMA’s Statement of Ethical Professional Practice. Have two continuous years of professional experience in management accounting or financial management. The CMA Part 1 Exam contains the topics Financial Reporting, Planning, Performance, and Control whereas the Part 2 Exam contains the topic Financial Decision Making. The CMA exam is computer-based exams and conducted at many testing centres of the IMA testing partner Prometric across the world. With three testing windows each year, one can appear for the exam at any time and location that is convenient for them. Pick a testing window. Testing windows are offered in January-February, May-June and September-October. Receive authorization number along with instructions. The exam Part 1 and Part 2 can be given in any sequence. It is not mandatory to clear Part 1 first and then Part 2. To ensure that one gets one’s first choice of date, time and location, it is best to schedule one’s appointments at least four weeks in advance. All exam appointments need to schedule at least 72 hours in advance of the exam date. Once you are registered, you must take the exam part during your assigned testing session. If for any reason you are unable to schedule an exam appointment during the assigned testing window, you will need to pay another registration fee. Appointments cannot be rescheduled to another testing window. For a professional, the CMA entrance fees which are non-refundable is $250 and the exam fees are $415 per part. Likewise, for a student or academic member, the non-refundable CMA entrance fees is $188 and the exam fees per part are $311. First, pay the CMA entrance fees, then one has to complete the CMA program within three years from the date of registration or any passed part will expire. Later, the entrance fees need to be pay again. Once you have given your exams, you receive the exam results. 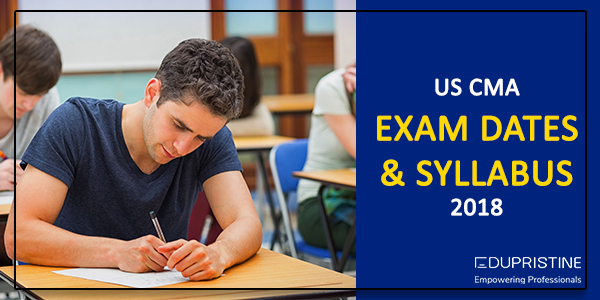 It takes approximately six weeks from the end of the month in which you have given the exam. Later, the candidate receives mail of exam results. And then posted in her MyIMA transcript.